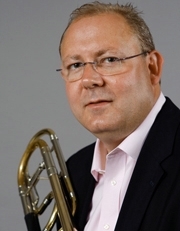 Timothy Anderson's prior teaching experience includes Adjunct Professor at the University of Dayton (1996-2006) and Adjunct Professor of Trombone at Cedarville University (1999-2002). He is currently Principal Trombone for the Dayton Philharmonic Orchestra and was formerly principal trombone for the Richmond Symphony Orchestra (1999-2003). His recent orchestral performances include the Richmond Symphony Orchestra, Cleveland Opera Orchestra, Cleveland Ballet Orchestra and West Virginia Symphony.